With the tagline “the Airbnb for computers,” the Warsaw-based Golem Network is a peer-to-peer (P2P) network (built on Ethereum) with no central server. It allows users to rent unused CPU/GPU cycles and get paid in Golem’s cryptocurrency, the GNT token. Golem first splashed onto the scene in 2016 with one of the most successful ICOs to date. The protocol’s namesake is a mythical creature from Jewish folklore that was created from inanimate matter to form a being of limitless power and potential. Golem’s decentralized network aims to follow suit and empower “true cloud computing.” GNT is currently the 55th biggest cryptocurrency (by market cap). Golem has lofty goals, but referring to oneself as the Airbnb or Uber of something is easy – delivering is another matter altogether. The good news is that Golem’s team has been open and consistent in their communication, removing most of the guesswork for those of us keeping tabs on the project. While the above fact helps fuel confidence, a lot has happened since the ICO. Let’s take a closer look a Golem’s current position, review some of their 2017 achievements, and cast an eye to the future. Before getting into Golem’s accomplishments and future, let’s refresh our memories by reviewing several core issues plaguing traditional computing. These resources are mostly controlled (via stranglehold) by governments and tech titans such as Amazon, Microsoft, and Google. Computing resource-sharing platforms that aim to “democratize” have been around for a long time, but they are still centralized systems that have to rely on individuals to distribute and manage tasks, which can complicate things considerably. There is a real need to increase computational power and wrest control away from the oligarchy that holds it. No clearer evidence of this exists than the IoT. As IoT grows, the need for distributed computing becomes an absolute necessity. Whether cloud servers will scale up to meet most of the requirements in terms of capacity, cost, and speed is yet to be seen. But in the interim, Golem is one of the players boldly stepping up to address this necessity from another angle. Golem is creating a distributed network of computers managed by blockchain and smart contracts – a shared economy (there’s the Airbnb tie-in) where anyone with a computer can rent out idle computing power and make a side income. The blockchain itself doesn’t have anything to do with the real mechanics of the computing, but it creates a marketplace that directly links buyers and sellers of computing power, creating an incentive to share resources. If a solution like the one proposed by Golem were to succeed, it could effectively cut out the need for things like Amazon Web Services. This is one reason (among others) that people are excited about Golem and the prospect it offers. To learn more about Golem, check out this excellent article from The Merkle or to hear it straight from the horse’s mouth, read What Can Golem Do For You?. 2017 was a year for the Golem team to put their heads down and grind. In August, they announced the opening of a public GitHub repository which opened themselves up to feedback, criticism, and most importantly so developers could start getting familiar with their work. For us to declare that our research stage for Brass is completed, is to have crossed a huge milestone. This was big news, as the original whitepaper promised to deliver Brass within 6 months from the date of the ICO. But, as is common with blockchain projects, the release date was continually pushed back. Golem will be able to dramatically improve its user experience by integrating with Friend’s operating system FriendUP. On the other side of the partnership, Golem will be helping Friend transition to the decentralized world. Another notable development was the introduction of a public Kanban Trello board. Previously updates were mostly available via Github, and not really accessible for nontechnical people. It’s been challenging for average Joes to track Golem’s development, and this move was aimed at addressing that. If you’d like to review the progress on the Brass beta release on mainnet, simply find the corresponding column and scan down the outstanding tasks. Or if you’re more interested in seeing the progress of a beta release, including Concent, you can find that column and review progress there. Here are further directions on how to make sense of Golem’s Trello. Unlike some other crypto projects, Golem doesn’t have a flashy graphic or interactive section of their website discussing their development timeline. What we have as reference points are the Trello board, Github, and their Reddit AMAs. We have not updated the official roadmap yet. This is work in progress and we will communicate our master plan later this year. However, priorities for at least next year are: Brass release, GPU computing, PoC integrations of use cases other than Blender/CGI rendering, proprietary software support (starting with commercial renderers), refactor of Golem core and to refine business goals and update the roadmap. On March 1, 2018 Brass Golem Alpha2 0.12.0 was released. The general intention of this alpha test is “local verification of tasks, protocol improvements (including anti-sybil based on key difficulty), UX/GUI refinement and general bug-fixing.” Initial feedback on the launch was extremely positive, and while every bit helps, many in the community are more interested in when a mainnet launch might occur (focused discussion here). Zawistowski was queried about this as well, but his answer shed little light on things. Essentially, all he did was affirm that a beta test with more functional features would follow the alpha and that the ultimate mainnet launch (including Concent) would eventually be reached, thus constituting Golem 1.0. Clay Golem – will “introduce the Task API and the Application Registry, which together are going to make Golem a multi-purpose, generalized distributed computation solution.” In short, it will give developers the ability to integrate with Golem. Stone Golem – will “add more security and stability, but also enhance the functionalities implemented in Clay.” This will be a refining process where complementary mechanisms will be introduced along with advanced versions of preexisting features. Iron Golem – will be “a deeply tested Golem that gives more freedom to developers, allowing them to create applications that use an Internet connection or applications that run outside the sandbox.” Iron will be something close to a finalized product. As Golem’s infrastructure gets better, the team plans to shift focus towards creating tools for developers and software companies. The endgame is to make Golem a competitive source of computing power and a viable alternative to existing cloud providers. The team tasked with all this is filled with engineers, devs, designers, and testers – the only current job openings at Golem are technical ones, a clear illustration of where the company’s priorities currently lie. Golem is well-known in crypto circles but has a lot of distance to cover if it ever wants to breach public consciousness in the way Bitcoin or Ethereum have. But the team has plans to change this. In the short-term, Golem is using growth-hacking strategies to target those most likely to adopt – CGI artists, for example. The broader marketing battle to gain mainstream usage is on the backburner for the moment. After all, a big marketing push doesn’t make much sense if the product isn’t ready, but it also doesn’t mean that Golem plans to be idle. Plans have been mentioned about sponsoring and attending more conferences (like the London event cited above), touring Asia, and pushing things on the grassroots level. In May 2018, Golem plans to tour New York City. Participation in the Ethereum Community Fund, which will help to support Ethereum development and by extension Golem. To read Golem’s co-founders’ thoughts on this issue, check out this article. Discussion with a few world-class universities about investigating future Golem use-cases collaboratively. Official announcements are said to be coming in a matter of weeks. A refinement of partnership models, one directed to computing-power providers and the other aimed at growing the Blender (rendering app) user base. Golem is additionally set to invest in two companies who are building on top of Golem infrastructure. Details of joint-work roadmaps and integration of technology stacks are being worked out, but announcements are expected in Q2 or Q3 2018. Right now we are aware that most technological challenges are more complex than expected, which means that additional time and resources will be needed to tackle them. Also, it becomes increasingly apparent that Golem (as well as other leading projects in this space) should allocate their resources and efforts to strengthen the underlying Ethereum infrastructure. 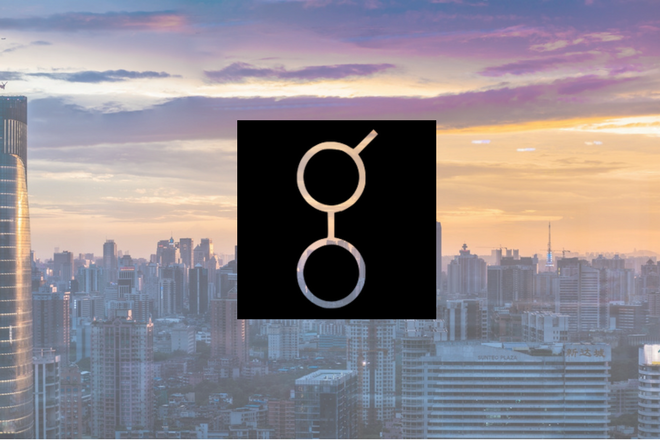 As we review this snapshot of Golem and speculate about its future, there are many reasons for optimism. But it is still very early in the cryptocurrency market, let alone the niche of distributed computing. There are serious complexities involved in this space, and the Golem team has been open with the fact that they’ve run into challenges they didn’t fully anticipate. They’re far from alone, however – many projects have pushed back timelines, including Ethereum itself. But not everyone is mollified by this explanation. Some have wondered if Golem isn’t an example of technology focus taking over business logic. With too many technical people seemingly in control, it seems to some that ground is being lost on the business and marketing fronts. Many a good Kickstarter project garnered huge interest only to take so long to ship a product that the original community momentum was lost. Golem is currently running the same risk. Then again, there is a culture of over-demanding and complaining within many crypto communities. Whether or not these pushbacks are the healthy result of a truly ambitious undertaking or a team that won’t be able to deliver remain to be seen. For now, Golem deserves the benefit of the doubt. Let’s not forget the abstract, complicated, challenging, uncharted, and potentially revolutionary nature of the work they’re doing. If you look at the ratio of projects launched versus those still on test, Golem is still relatively well-positioned. The logic, commercial value, and societal benefit of distributed computing systems are clear – all that’s left is for someone to execute. Golem may be this someone, but only time will truly tell. To keep further tabs on this project, you can follow the Golem Blog, like them on Facebook, chime in on Reddit, or join the Golem chat. Colin is a writer, researcher, and content marketer fascinated with the ongoing blockchain revolution and the potential it represents. Originally from Seattle, Washington, he can most often be found doing yoga, wandering around in the woods or traveling.